Female entrepreneurs are hampered by “persistent barriers” such as sexual workplace politics and inadequate access to scale-up capital, according to the first report released by a cross-border council dedicated to improving women’s economic participation. 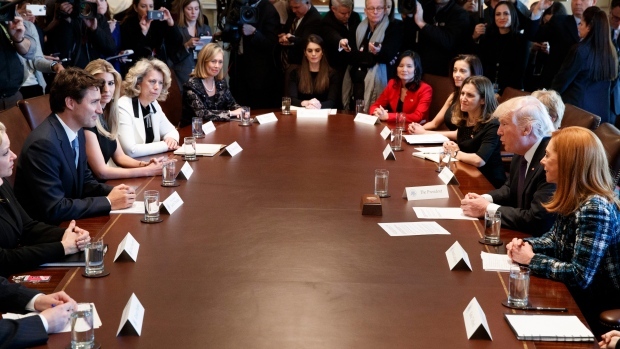 The paper, written by the Canada-United States Council for Advancement of Women Entrepreneurs and Business Leaders, was released nearly a year after the group launched with much fanfare a month after U.S. President Donald Trump’s inauguration on Jan. 20, 2017. 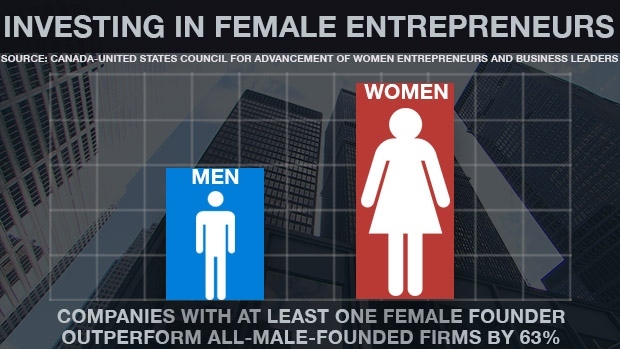 The debut report titled, Supporting and Growing Women-Owned Businesses, argues both Canada and the U.S. are “selling themselves short” by failing to properly support female leaders. “There is huge economic benefit to be realized by increasing the number of women business owners,” the council states, citing a Royal Bank of Canada study suggesting a 10 per cent increase in women-owned firms would add nearly $200 billion to Canada’s economy. The first of four barriers identified in the report is a lack of “growth capital” for women looking to expand their businesses. The 10-member council, which includes Linamar CEO Linda Hasenfratz and General Motors CEO Mary Barra, describes the problem as “complex”. The issue is exacerbated by a well-documented reluctance by men and women to spend time alone together either professionally or socially. “A recent survey found that half of junior women and two-thirds of senior men shied away from one-on-one sponsorships out of fear that others would perceive a sexual relationship where there was none,” the council writes. The report notes that working relationships are under greater scrutiny in the wake of high-profile sexual harassment and assault scandals, which have even ensnared President Trump. While the allegations against President Trump have not been proven in court and the report does not address them, the council says it is “critical” that women are supported and encouraged as they come forward. 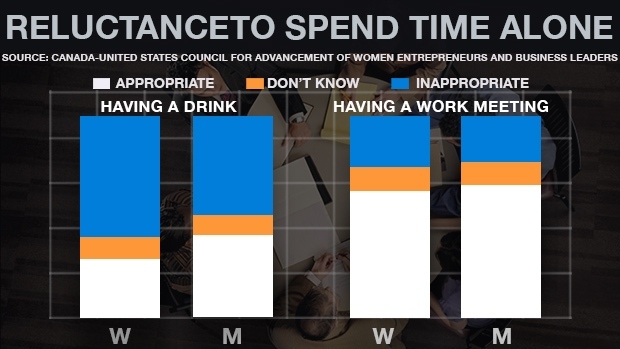 “A big takeaway is the need to challenge harmful social attitudes and biases, but also to be mindful of overcompensating behaviours that can further isolate women in business,” the report says. Among the council’s four recommendations to Canada and the U.S. is to expand the use of so-called supplier diversity programs in the public and private sectors. According to the report, the Canadian government lags the United States when it comes to sourcing from diverse companies. “Canada has no formal ‘set-aside’ program for women-owned businesses, and the proportion of public procurement dollars going to women-owned businesses is not formally tracked,” the council writes. 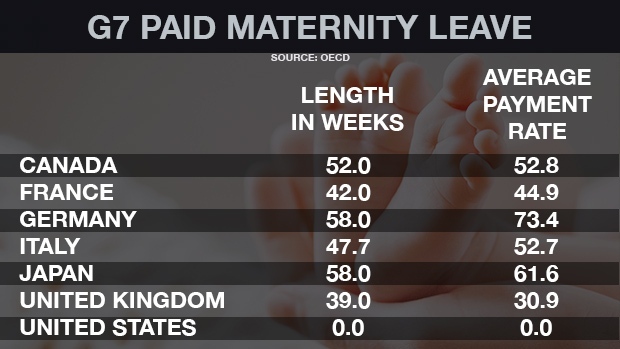 The paper also calls on both countries to lower the cost of child care, but falls short of criticizing the U.S. for being the only OECD country to offer no paid family leave on a national basis. “We recognize that Canada and the United States have taken different approaches to family policy… and do not suggest there is a ‘one-size-fits-all’ solution’,” the council notes in the report. The Council for the Advancement of Women says four more reports are forthcoming, including a paper on boosting women’s ranks in science, technology, engineering and math. The council is among the few remaining advisory committees to the U.S. president. Last summer, at least three committees disbanded in the wake of Trump’s comments that “many sides” were responsible for violence at a white nationalist rally in Charlottesville, Va.